One marketing strategy that may work for anyone who writes for an adult audience, especially female, is to create a Facebook group for readers. A Facebook group is different than a page, which most authors already have. I've recently seen some innovative uses of a Facebook group. You may be wondering: why do I have to keep up with a Facebook group too? Why isn't my page good enough? It all comes down to that wonderful, old Facebook algorithm and how seldom people, who like your page, will actually see posts in their news feed, unless they choose to see your notifications first or often. Most people don't realize this or even think about it, and so you may be posting the most wonderful content ever on your page, and only about 1/4 of your fans are seeing it. With a group, there are usually fewer members and anyone can post and discuss. You can add members to the group without their permission (although they can also remove themselves, if they don't want to be there). In the groups I'm in, when anyone posts, I get a notification from Facebook, and it also shows up in my news feed. But groups should be used with a strategy, just like any marketing on social media. Your page is for anyone to like. Your group can be for special readers, helpers, book parties, and more. Here are two different, creative ways I have seen groups used lately to promote books. 1. 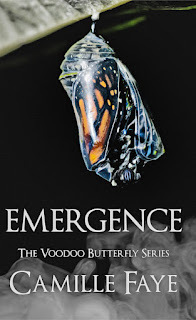 Creating a "street team" for a book release: My friend, Camille Faye, who writes the Voodoo Butterfly series, created a Facebook group for her street team, which is a group designed to help her promote online the release of her second book Emergence. She called the group Social Butterflies and had various tasks for us to do throughout the week, such as post about her book on social media and make her book cover our profile photo. She gave instructions and had discussions in the group, which was a brilliant use of this Facebook tool with 112 members in her group! 2. Several authors in the mystery genre joined together to create a closed group on Facebook for mystery authors and their readers. To launch the group, they are having an online Facebook party in the group. Each author will take over the group for a while and post about their books, giveaway prizes, and have fun with fans and other writers. This is a great idea because it's authors helping out each other; and as I posted about last time, some of the readers may find new authors because they followed a favorite author on to the group. If you love reading mysteries, then ask to join this Facebook group today. 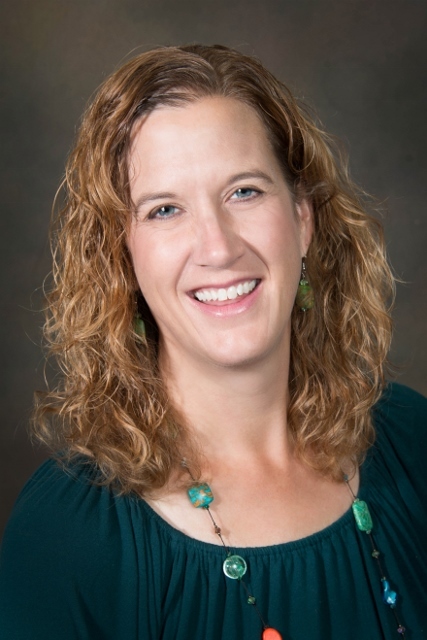 As social media evolves, so do authors' great ideas for marketing. Some authors make it a privilege to join their Facebook group, like a fan club, where the most devoted readers can get access to the author and new releases first. There are all kinds of ways for creative authors to use Facebook groups. But remember, this really works for authors whose audience is in their late 20s to 60s because that is the highest population on Facebook, and female readers tend to join more groups and participate in parties than male readers. As I keep saying, marketing is not one-size-fits-all. We would love to hear how you have used Facebook for your marketing. Seriously, I am so marketing unsavvy, so tech ignorant, so absent from Facebook--whenever I DO need to do something, I'm going to need to take a year-long class just to get me even close to up to speed. It certainly sounds like you're part of a group that knows what they're doing, marketing-wise. I'm on a FB hiatus, but I find myself engaging far more often in the groups these days. In particular, I haunt a few author and publisher groups, because they are far less tedious than the open-class raw feed that chugs randomly out of the FB algorithm. The groups I monitor are informative and infrequent. In fact, now that I think about it, they employ a strategy much like a blogger does. A few good posts each week, with thought-provoking topics that in some way leave me a little bit better than before. In other words, I ~learn~ something, or my thought process forges a new trail through the woods. So, I might add that in addition to creating groups, you should develop a strategy much like a blogger's, and post up useful articles and tidbits that are not so trite as what we see with the cat pictures. Eric: Great points. I really like FB groups--I have them for several purposes, not just writing (mom's group, my dinner club, our critique group), but I have also joined bigger ones and I do find that people with common interests really have great discussions on there. Thanks for commenting! I've participated in some book launches, which were fun, but didn't result in more than a sale or two for me. I've also run a few ads, but can't tell that any buyers came from them. Thanks for the mention of the Sleuthing Women FB group. As an author who don't like social media for marketing, this group is the perfect solution for me. I only have to be "on" when it's my scheduled week. And the opportunity to network is amazing. Margo ~ This is an excellent post! I love the information you've provided, especially since I'm not on FB anymore. In the beginning of your post, you talked about the Facebook algorithm, and how people that like an author's page seldom see posts in their news feed unless they choose to see notifications first or often. Then you say with an author's group, you get a notification and it shows up in your news feed. Is that right? If a group allows for more exposure, that's a huge reason to start a group right there. The idea of the street team is genius. The mystery group sounds like a blast. It would be amazing if authors could combine the two and work together...create a book marketing group for authors with books in similar genres or with a similar audience, and do it street team style, rotating turns for posting book covers as profile photos etc. And throw parties and giveaways and rotate turns for hosting. Thank you for mentioning the Sleuthing Women group we've started on FB. We're having a blast, and the group has just started! We're working on some interesting marketing concepts and ways to connect with our readers while establishing relationships with new readers, so it's exciting! I got tired of trying to engage on my author page and FB wanting me to boost my post for the people who like my page already to see it, yet the engagement rarely reaching close to what FB said it could. This group allows me an opportunity to reach my readers, work with other authors to reach theirs, and allow us all to establish new relationships with new readers. Thanks for all these comments, ladies! :) I appreciate the authors from the Sleuthing Women stopping by, also! Ang: I'm pretty sure I'm right about the GROUPS getting notifications and showing up in the NEWS FEED and not PAGES, but rules on FB change so often and quickly, that don't take my word for it. However, what Carolyn just said above is what a lot of authors are experiencing with their Facebook page. I'm talking more of creating a group--so you would find your readers (maybe some Saturday Writers members, people who have mentioned they really love your writing or your book) and start a group with them. I agree boosting a post to sell a book hardly ever works. I think it would probably have to be nonfiction and something that is a hot topic OR if you were a celebrity. Another Sleuther author here and I think FB groups are the way to go. I think we're all looking for ways to cut through the feed and make the most of our time and dollars. For me, pooling together with like-minded authors and mass targeting an audience is smart. And it lets me focus more on my writing, too! It's hard to know how best to market a book. I've been paying particular attention lately, since I have three books coming out in a very short period of time. Unfortunately, they are all very different genres. From what I've seen, successful methods vary depending on genre, so I'm already tearing out my hair trying to figure out what to do. It's hard enough writing, but marketing is really difficult for me. Some authors are very good at it, so thanks for sharing their strategies. Thanks for sharing this article. How Facebook works is so confusing. Most of the information a person gets about marketing recommends creating a Facebook page, but it seems unless you are already an established "personality," it's like running a race backwards.